Winter is a season my skin can't ignore, even though I have oily to combination skin when it hits those colder months I start suffering from seriously thirsty skin that looks pretty dull too. 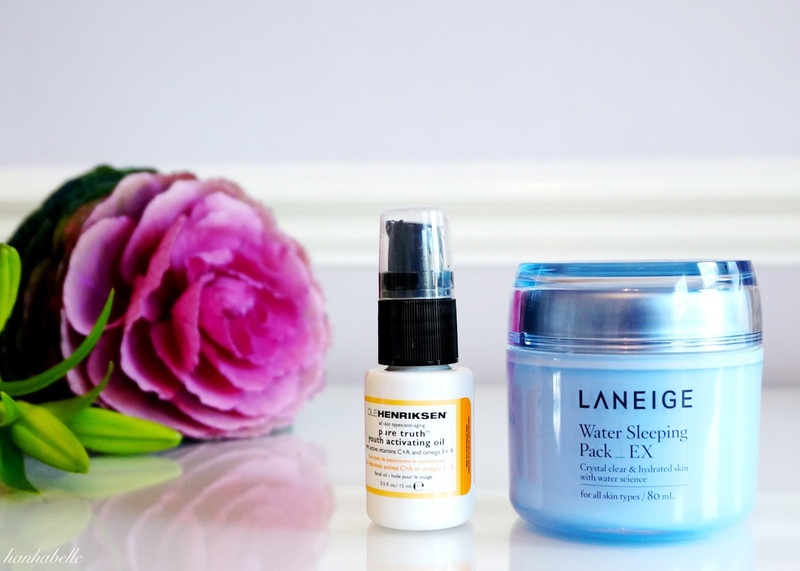 So for intense hydration and that much needed glow, I've been loving using these two products, which has helped my skin feel nourished - more Snow Queen and less Snowman! My friend raved about this Korean sleeping mask - crystal clear and hydrated skin, how could I resist? She picked me up a pot when she was in Hong Kong for a round £11, as it's not easily available in the UK. So what's the science behind this mask? 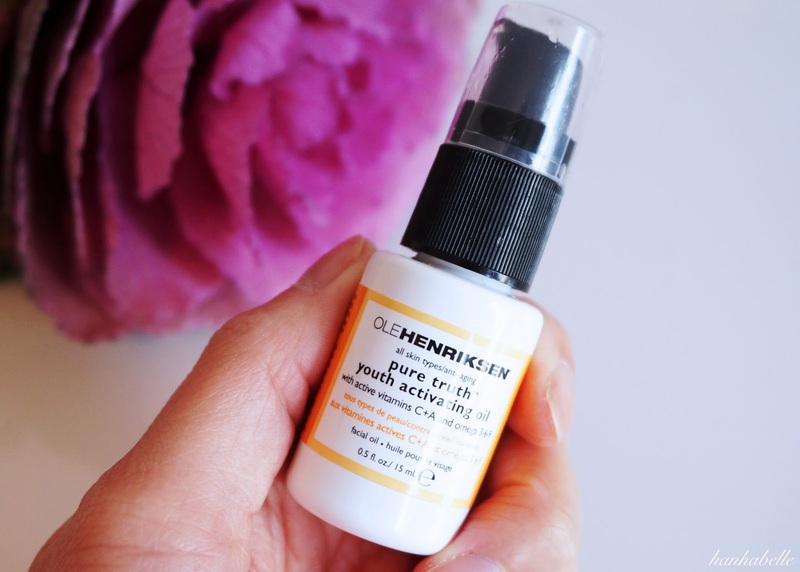 It contains Beta glucan, which helps to renew and heal the skin, antioxidant benefits of apricot extract helps purify the skin and natural idolised water to vitalise the skin and give it intense hydration. So science aside, this gel mask performs at it's best overnight, when our skin is repairing itself. They recommend to use this 1-2 times a week, I've never used a sleeping mask before but I was intrigued to see the results. It comes with a little plastic spatula to scoop out the light blue gel. I spread a thin layer over my face and it has a lovely cooling sensation that feels instantly refreshing. Don't use too much otherwise it'll take a while to absorb onto your skin. It's not sticky or wet but reminds me of the Clinique Moisture Surge cream. It also has a soothing scent of orange flower and ylang ylang, perfect before you hit your pillow. By morning the gel dries and skin feels a bit tacky, but after washing my skin it feels plump, supple and smooth. I've been using this for a few months now, my cheeks use to be particularly dry but overall my complexion looks more even. This mask is a nice cooling treat for when you want a hydrating boost and glow during the colder months. This wonder facial oil claims to do it all with it's active ingredients of organic Rose Hip oil, Vitamins A, C & E as well as essential fatty acids. All these combine to help promote healthy skin cell renewal, improve skin texture and keep skin nourished and hydrated, as well as improve scars and wrinkles. 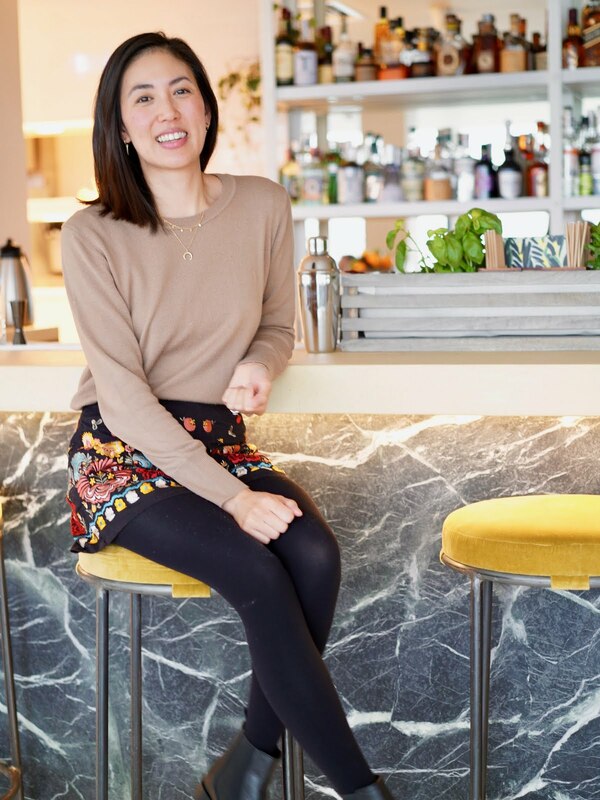 I've used Kiehl's Midnight Recovery Concentrate and the Clarins Lotus Oil but the Ole trumps it for me, it feels much more nourishing on the skin and has been making my skin look a whole lot better. I pump around 4 drops on my palm of my hand and then rub gently onto my skin, this is one of my favourite skin care steps as it feels heavenly! It's not too oily and leaves a fine layer on your skin, you can use it morning or night but I just use it at night. I've been using this for around 4 weeks and combined with the my Elemis Tri Enzyme serum, I can actually see a difference to my skin. What are your winter skin care must haves? Beautiful photos, babe!! 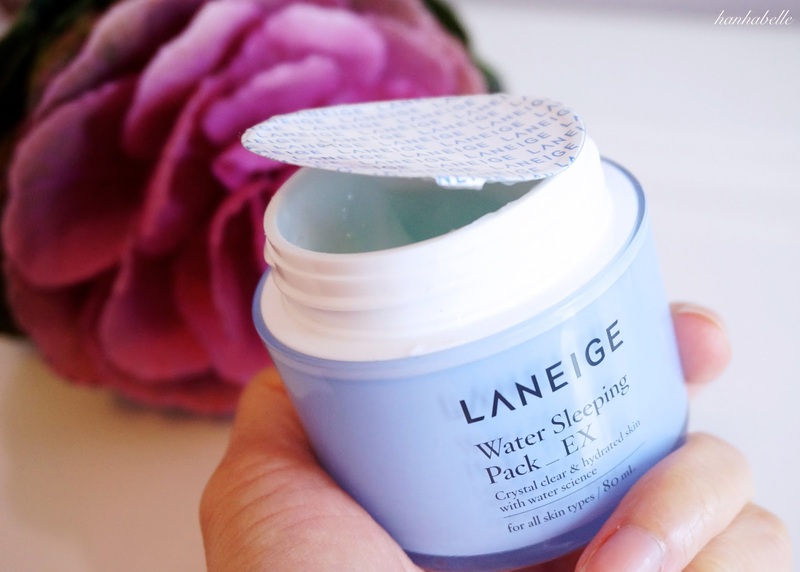 I love the Laneige Water Sleeping Pack as well - tried a sample tub of it before and remember wanting to repurchase but had lots to try out :) The Ole Henriksen skincare range on the other hand - I'm dying to try!! Glad you like using it too :) It's great for keeping my skin nice and soft when its going through it's dry spell! Haha I feel you girl, the last few days have been really bad for my skin (harsh winds and central heating!) so thank goodness I have this sleeping mask. Ahh lucky you, skincare haul from Asia is the best! that mask sounds nice! I like the Ole oil when it first came out, but felt like it didn't really absorb and just sat on my face being oily... :/ I do think it is nice, but there are ones i like better. BUT I am glad you are enjoying it!! Oh that's a shame! Yes oils are such hit and miss with everyone's different skin types.